Breakfast is a must at Carl's Oxford Diner in Oxford, Massachusetts. 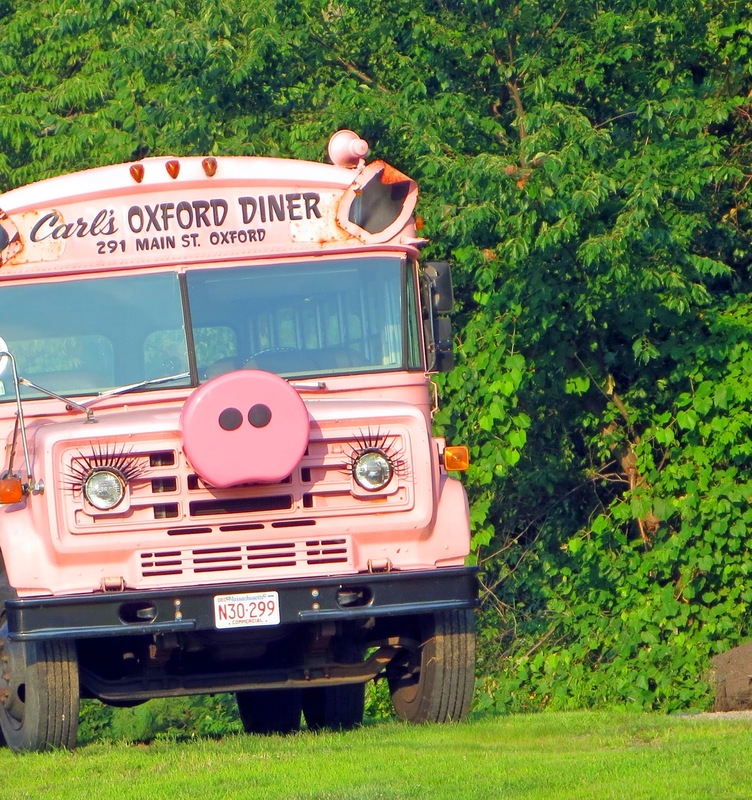 Don't think about the cute bus while you're ordering your side of extra crispy bacon. Just under an hour north of us.